The PC version will feature an unlocked framerate, aka you can crank it up from 60fps. 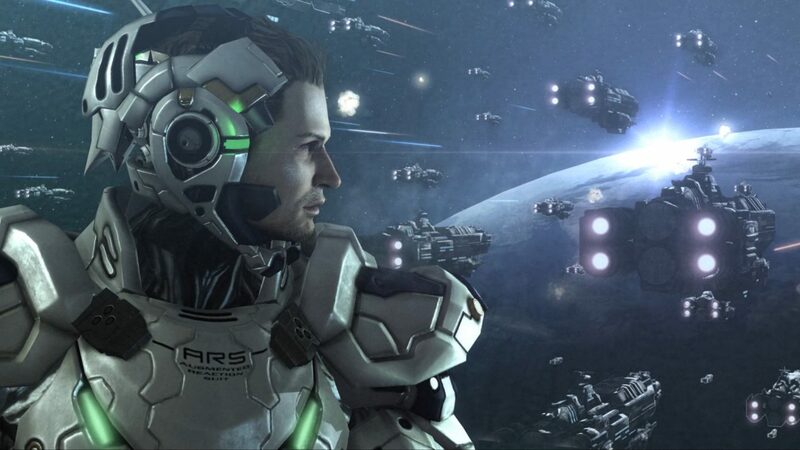 Additionally, there is 4k resolution support, graphics options including anti-aliasing, scalable texture and shadow quality, anisotropic filtering, SSAO lighting, Steam support, Steam achievements, Steam Cloud Save, Big Picture Mode, leaderboards, Trading Cards, full keyboard and mouse support, and full EFIGS and Japanese support (voiceovers, subtitles, and game menus in any language combination). 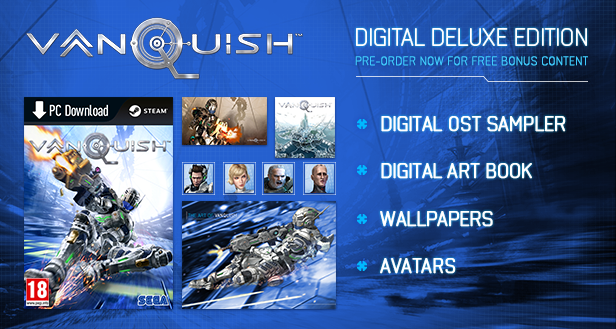 According to Sega, if you preorder Vanquish on Steam and other SEGA approved retailers you will receive the Digital Deluxe Edition of the game which includes a 5 track soundtrack sampler, character and enemy avatars, an art book, and exclusive wallpapers. 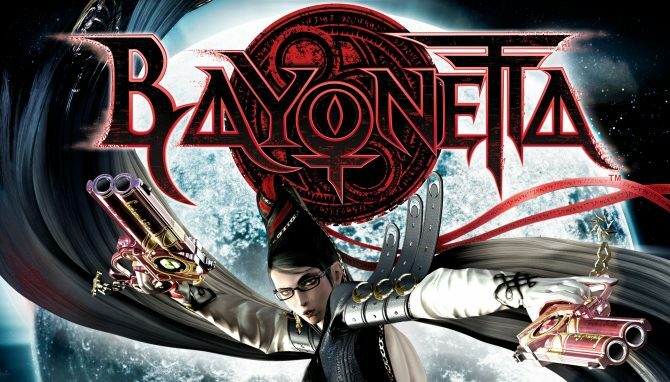 Additionally, if you purchased Sega’s previous PC port of Bayonetta you will automatically receive a 25% discount off the $19.99 USD when preordering. 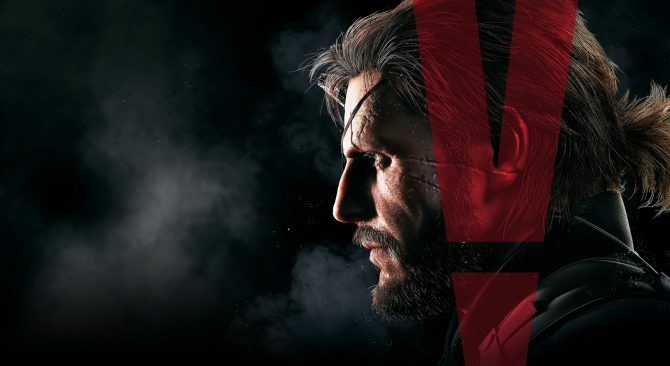 However, you only have until the game’s release to secure the Digital Deluxe Edition via pre-ordering before it reverts to the Standard Edition. 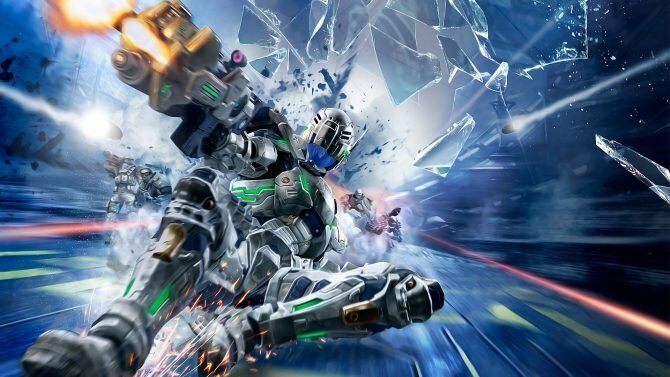 For those that don’t know: Vanquish is a third-person shooter developed by PlatinumGames and published by Sega for the Xbox 360 and PlayStation 3 in 2010. 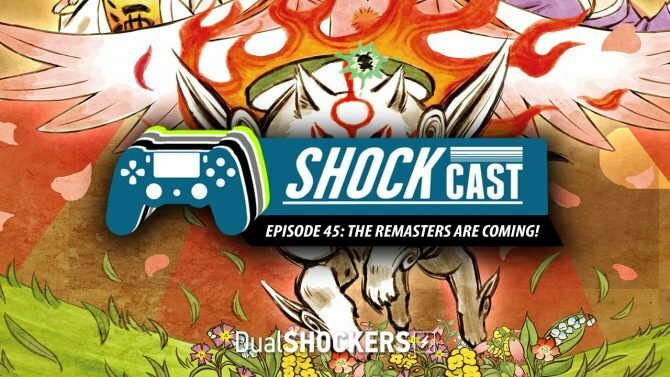 It was notably directed by Shinji Mikami, who is renowned for this work on the Resident Evil and Devil May Cry series.